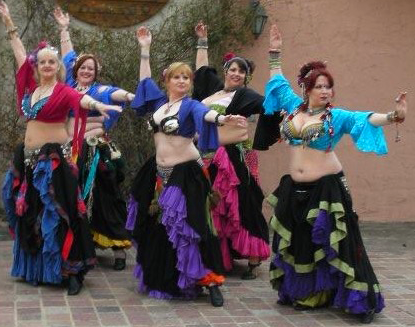 Welcome to the home of Brazen Bellies Theatrical Tribal Bellydance troupe. We have been performing and playing in the Dallas Fort Worth area for over 10 years. We are happy that you have found us. Check out the Brazen Bellies FaceBook page to get details about any of our upcoming performances or classes. Here are some videos of past Brazen Bellies performances. If you would like to book us for a performance or event, you can find contact information here.